Start Parallels Toolbox. If you haven't signed it yet, you will see the registration window. You should either sign in to your existing account or create a new one. After you sign in or create an account, you will see the Try or Buy window, where you can also switch to the activation window. Click on I Have a Key to enter your license. 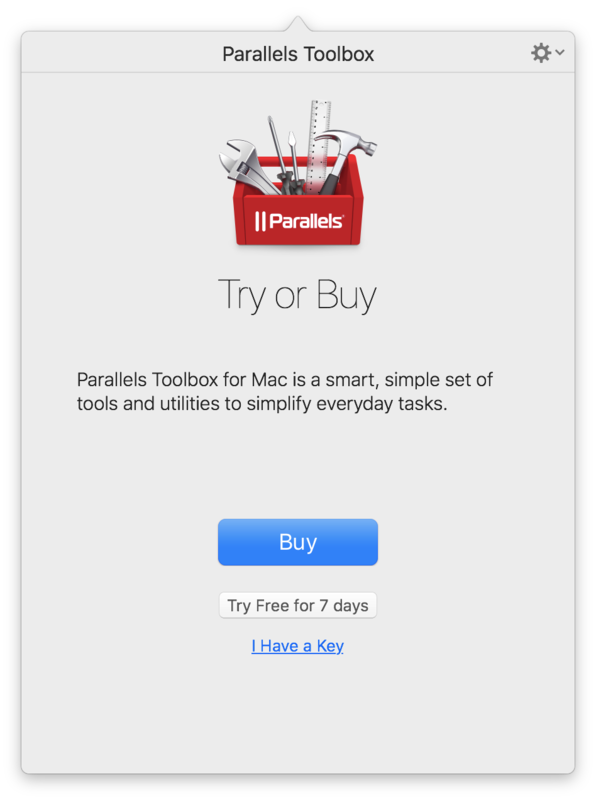 Enter your activation key for Parallels Toolbox, or a key for Parallels Desktop copy that includes Parallels Toolbox, and click Activate. 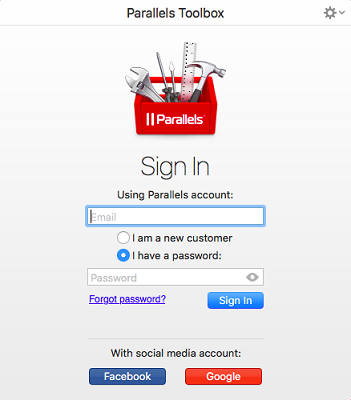 Your copy of Parallels Toolbox will be activated. Click on the Parallels Toolbox icon in the menu bar. Click on I Have a Key to enter your license. Click on the Parallels Toolbox icon in the menu bar and then on Use Another License. 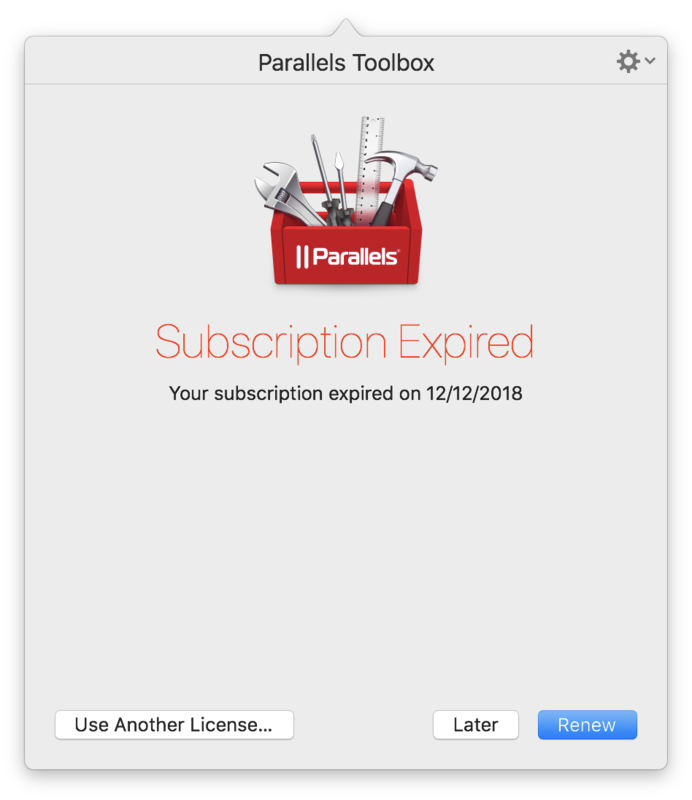 In some cases you may receive an email with an activation key while you still have an active Parallels Toolbox subscription in your account (or there's a Parallels Desktop for Mac subscription which includes Toolbox). 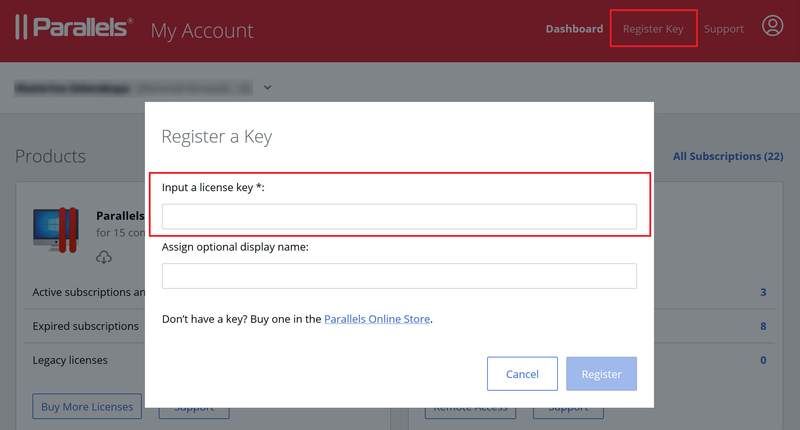 Then you need to register the key in your Parallels account at my.parallels.com > Register Key and select whether you would like to register it as a separate subscription, if you plan to use it on another Mac, or extend one of the existing subscriptions.